August, Tuesday 23, 1864 Miles West of Atlanta. the [Johneys?] let out on us this morning with there Artillery which has caused our artillery to keep up a heavy fire all day long I wrote a letter to PJ Brown to day. 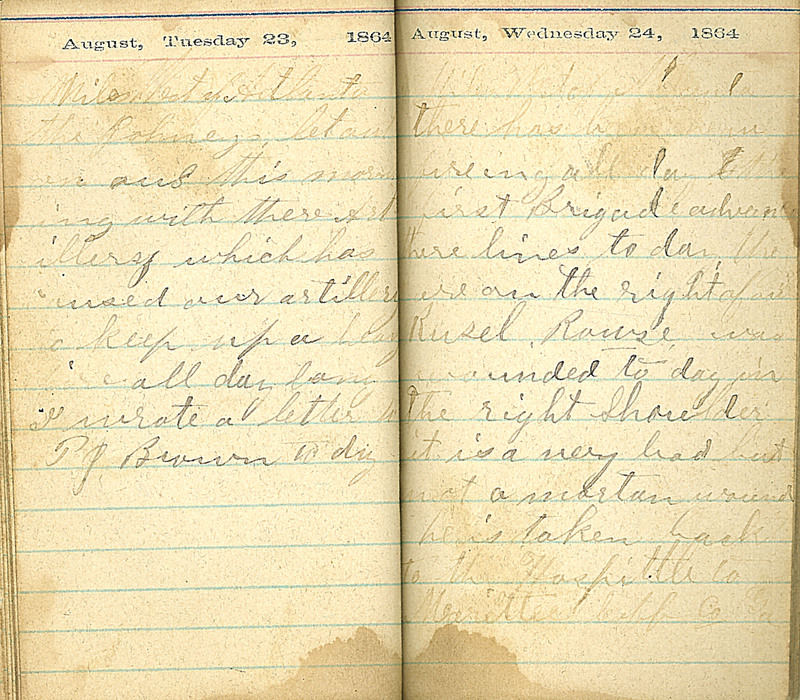 August, Wednesday 24, 1864 Miles West of Atlanta. there has been heavy fireing all day. the first Brigade advanced there lines to day. they are on the right of us. Rusel Rowse was wounded to day in the right Shoulder. it is a very bad but not a mortan wound. he is taken back to the Hospittle to Mariettee Cobb Co. Ga.